Knowledgexchange brings together the management and leadership teams from public practice across Australia - accountants, advisers, auditors, and SMSF professionals. And, we'll have some fun too! Join us for this exceptional conference experience. A conference should be about more than PD points. Knowledgexchange is an opportunity to learn from some of Australia’s leading technical specialists in tax and superannuation in an interactive format. But we’ve also brought together people who can make a real and tangible difference to your practice, your team and your client base – entrepreneurs and industry specialists whose take on the world will open your mind to the possibilities, risks, and opportunities out there. 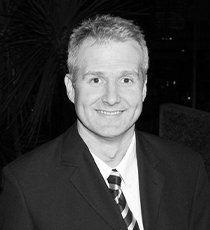 Andrew is a behavioural economist focussed on financial services. Andrew's insights into building trust, authenticity, and understanding what clients want, are a must for any growing firm. 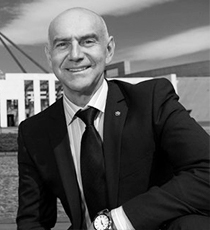 Dubbed the "Father of Financial Reform," the former Federal MP for Oxley, consultant at SAS Group, and director at Map My Plan brings his unique insights into what we should expect under a Labor Government if the election swings their way. Andrew has been one of the most dynamic, 'all in', inspirational sportsmen and coaches in Australia. A living basketball legend, Olympian and named an All-NBL first team member every year between 1986 and 2000. Hein works with entrepreneurs and emerging companies at Investec Australia, which is an active investor in, and advisor to, high growth companies. He knows what makes a successful business and what to look for. 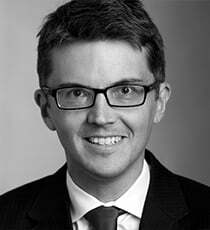 Hein is also the co-manager for the Investec Emerging Companies Australia Fund. 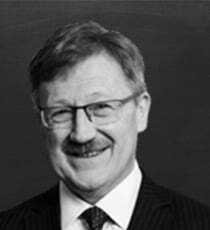 Colin is the Assistant Commissioner, Agent Services, Support and Experience, Intermediaries and Lodgement for the ATO. Originally out of the Big 4, Colin is joining us to explore the role of the practitioner now and in the future. 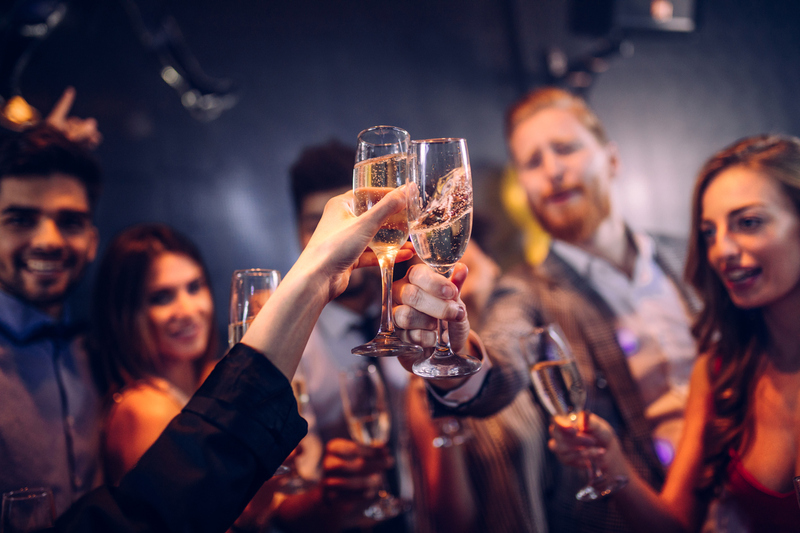 Baz says that almost all service businesses fail to recognise the true value in what they provide and underestimate how much relationship based technology and platforms can allow them to increase connection and experience and reduce direct human input, time and cost. He's going to show us how to break bad rules, rewrite convention and to see how things can be done not just more efficiently but in more human ways. 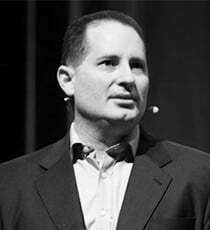 Scott is entertaining, encouraging, and an expert in leadership, teams and group dynamics, communication and body language, persuasion techniques, stress, and workplace satisfaction. 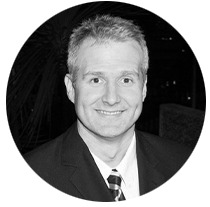 A registered psychologist with a solid background as an educator, Scott spans the spectrum from industrial psychologist to corporate trainer. He is a Master Coach in Behavioural Coaching and coaches both individuals and teams at all levels. 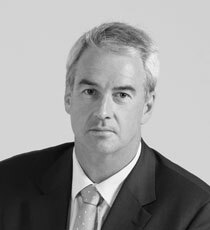 Cameron is a Director at Greenwoods & Herbert Smith Freehills and is part of the M&A and corporate team. 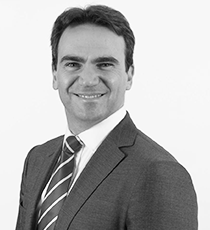 He specialises in advising clients on the tax complexities of mergers, acquisitions and restructures, including capital management and cross-border issues, and all aspects of employee share schemes. 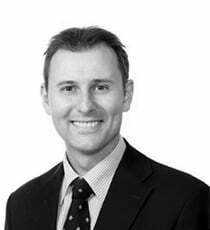 He holds a Bachelor of Business (Hons) and Bachelor of Laws (Hons) from the University of Technology, Sydney, and a Master of Taxation from the University of Sydney. To invest or not to invest? If you’re advising clients on their business strategy, this essential economic update will demonstrate where the market is headed and where the opportunities and risks lie. Are You Delivering What the Market Wants? Understanding the market within which you compete is a critical foundation for business success. Andrew’s unique insights into client demographics and what clients really want are essential for any aspirational firm that wants to know how they stand and how to position themselves for the future. Professional firms have been put on notice that Part IVA could potentially apply depending on how profits of the firm are dealt with. We explore what you can and can’t do under the new rules if you want to stay under the radar. He grew a company from $0 to $54 million in 7 years and successfully sold it. Entrepreneur Ross Robinson tells you what it took, what he would have done differently, and what he expects from an adviser. Facilitated by Greg Hayes, Chairman, Hayes Knight. Life Under Labor? Tax, Investment And Is The Sky Really Falling? What the profession (and your clients) can expect under a Labor Government. Will the sky really fall with the anticipated removal of refundable franking credits? And, what about changes to negative gearing and the CGT discount? Let’s find out from an insider. A post budget wrap-up on the main residence exemption. The significant changes that will leave some clients out of pocket. With the financial institutions cutting back or simply not providing LRBAs, what other options are out there for clients? When trust distributions are left unpaid this can cause some problems regardless of whether this is done for tax planning or is just a commercial decision to leave the money where it’s needed most. We explore the issues that need to be considered and the practical steps that can be taken to minimise risk. Is there a difference between what you can do and what you should do? Tax Commissioner Chris Jordan previously stated that when it comes to work related deductions, some tax agents were “deliberately scamming or cheating the system.” And to be fair, we all know some who do. But, is everyone to be tarred with the same brush? And, where do the boundaries lie between what the law allows, and what the ATO wants? Assistant Commissioner, Colin Walker joins us for this interactive discussion. Part IVA makes people nervous. How do you know whether arrangements should be seen as ‘normal’ tax planning or whether something is moving into dangerous territory? Cameron explores the cases and how the dividing lines work in the real world. Facilitated by Michael Carruthers, Tax Director, Knowledge Shop. Transfer Balance Cap: Whose fault is it when it goes wrong? Accountant, auditor, or client? What happens when transfer balance cap issues arise and what you can do to protect your practice. One of Australia’s leading specialists in AI demonstrates the impact of AI on how business and the opportunities and issues it raises. Hang in there. A little heavy duty but so necessary technical sessions but you get to finish up at 1pm! The existing and incoming company tax reductions have a created a world of complexity. Jo-anne walks you through the process to ensure that your clients are structured correctly for the future and get the best value from franking credits. The real and present dangers faced by SMSF auditors from an industry specialist. Division 7A is about to undergo a seismic shift, changing almost every aspect of how practitioners will approach the rules. We explore the new rules, how they need to be managed and the complications likely to arise. What if something happened to your client today? Our specialist panel explore the strategies and the planning required to deliver the most effective outcome for your client and their beneficiaries. One of the most common questions raised by practitioners and one of the most poorly understood areas of tax. Karen explores the often complex rules relating to the forgiveness of debts and the unexpected outcomes that can occur. Social Media is no longer a new ‘concept’ and yet very few accounting firms have taken the simple steps to use this medium effectively to grow their businesses. Baz dispels the myths and will open your eyes to the simple power of scaling your communication. Accountants typically struggle to not only deeply explain their value to clients but also to tell their story. Baz will help you change that. Payments received before Friday 10 May. Payments received from 11 May. Please call us for bookings of 6 people or more on 1800 800 232. Accommodation - Preferential accommodation rates have been secured for conference attendees for a wide range of room types. Once registered, we will provide you with the links and details. Knowledge Shop knows how to throw a party. From marketplace cocktails to the gala dinner and a few special surprises thrown in. We want to do more than just entertain your intellect! Because you deserve to let your hair down! While it feels like another world, The Star Gold Coast is only a stone’s throw from all the Gold Coast’s many attractions. Located in Broadbeach, we’re just half an hour from Gold Coast Airport at Coolangatta, and a 90-minute drive from Brisbane. That means escaping for a weekend is easy, even if you’re coming from interstate. All registrations to Knowledge Shop events are subject to our terms and conditions which include a cancellation policy. No refunds are provided for cancellations received 30 days or less of the event date under any circumstances. If you are unable to attend, you may substitute your registration. Attendees will have access to download a copy of the speaker notes and materials from the knowledgexchange app. These will be provided prior to the sessions and will be available for download and printing. The conference program is subject to change. Attendees are provided with the latest information on the program via the website and conference app. Attendees are responsible for booking their own accommodation which is subject to the terms of the venue. Attendees are provided with a link to access preferential accommodation pricing.